RimuHosting Review 2019: Is RimuHosting a Good Hosting? 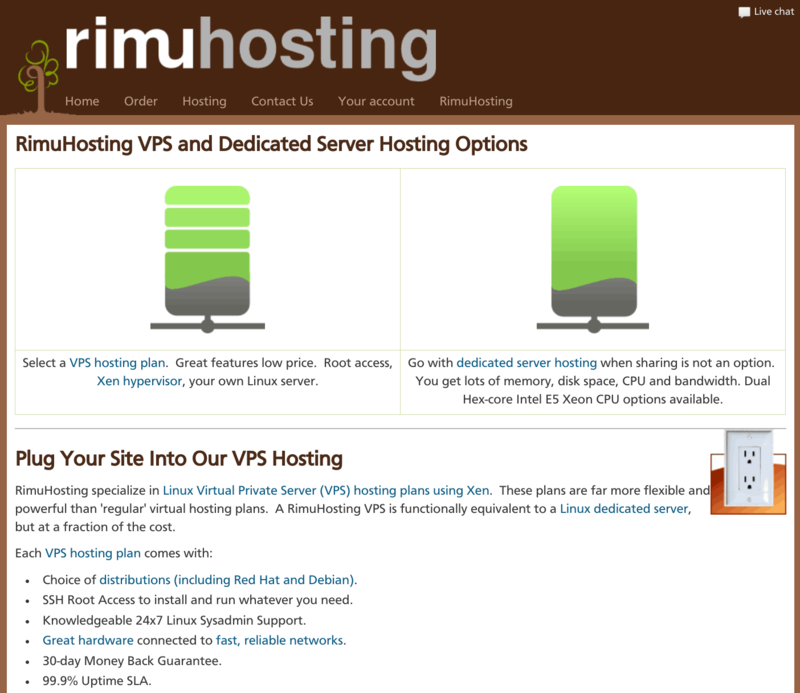 If you need unique VPS hosting solutions such as VPS-on-dedicated-server or Java/Rails hosting, then RimuHosting has a long track record and is currently one of the fastest growing companies in the Asia-Pacific region. RimuHosting is a New Zealand web hosting company that has been providing hosting and related services since 2002. They have a number of unique VPS solutions including multiple types of Java hosting, Ruby on Rails hosting, and VPS-on-dedicated-servers. According to the Fast 500 Asia-Pacific Index, they are one of the fastest growing companies, and they provide hosting from multiple data centers across the globe in Dallas, Auckland, Frankfurt, London, Sydney, and Brisbane. One of the most attractive features of RimuHosting is the specialized types of hosting they offer. On their VPS plans, you can opt for Java hosting (Tomcat, JSP, Java Web, etc. ), Ruby on Rails hosting, or standard web hosting, and in each case all of the prerequisite software and frameworks will be installed for you. Their VPS plans also make use of Xen hosting technology for enhanced performance and flexibility. You get full root access, guaranteed CPU and disk I/O operations, your own file system (even on shared servers), and dedicated IP addresses. You can also choose your Linux distribution and control panel from a number of options, and you also have access to DNS management, FTP backup space, console-over-SSH, and a RESTfull server management API. They provide a good level of security with all their products that make use of Spamassassin and ClamAV AntiVirus. Dedicated servers come with 10 Gbps uplink connectivity, SSD storage, RAID redundancy, DDR3 ECC RAM, the latest Intel Xeon CPUs, and the option to install multiple VPS solutions on a server. You can also extensively customize all aspects of your resources. On their VPS plans, you can opt to prepay your solution for a year and get the 13th month for free. Your second VPS product with them will qualify for a $10 installation fee and 10% monthly fee discount. It’s easy to customize the VPS plans using on-screen sliders. RimuHosting provides a number of premade dedicated server configurations, but you can build your own solution by customizing just about every aspect at extra cost. Unfortunately, VPS, dedicated server, and VPS-on-dedicated-server products come with setup fees. Prices can also differ based on the data center location, but you can run multiple virtual private servers on a dedicated server for a flat monthly charge. Their prices might look very expensive, but that’s just because they only offer resource-intensive VPS and dedicated server products. For the types of products, features, and resources they offer, the prices are actually quite reasonable. And the 30-day money-back guarantee provides some initial peace of mind. RimuHosting’s technical support staff are on call to field queries 24/7/365. Live chat and ticket support is provided at all hours, but you can only reach them by phone Monday to Friday between 11 am and 4 pm NZT. You can also reach out to them via various social media platforms, and they also provide pretty extensive self-help articles and how-to guides. RimuHosting’s unique range of VPS and dedicated server solutions definitely aren’t for everyone, but they provide fantastic options at reasonable prices for those struggling to find providers in this niche. Wondering how RimuHosting stacks up against other Web Hosting companies? Enter any other Web Hosting company and we will give you a side-by-side comparison.